In this post, we wanted to share what we think are some of the best guided tours of Iceland. This is for those of you who want to travel in Iceland without a car, saving yourself the effort of driving yourself. It also means someone else does all the work so you can focus on enjoying the experience, which is always nice. One option we’ve suggested in a previous post is to base yourself in the capital city of Reykjavik, and do day trips to some of Iceland’s highlights. However, that isn’t the only option. You can also take a multi-day guided tour of Iceland. Multiple companies offer these types of tour, and they range in group size, cost and duration. We’ve gone through loads of the options, and have come up with some of our favourite Iceland tours to help you pick the right option for you. These cover some of the best tours in Iceland, and cover a wide range of interests. 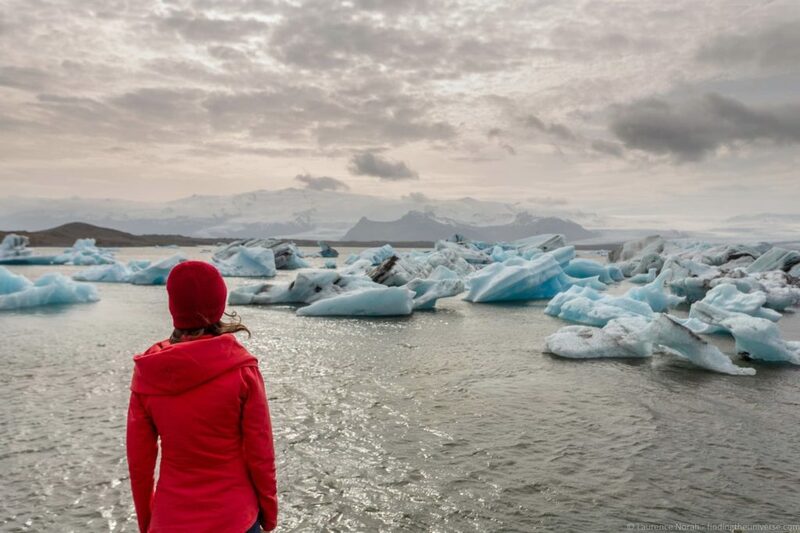 Whether you’re into hiking, wildlife, photography, white water rafting, snowshoeing… or just experiencing the natural wilderness of Iceland, we’ve found a tour for you! We’ve also tried to cover all budgets, with tours that range from camping and staying in mountain huts, through to higher end more luxury experiences. Some of the tours we’ve chosen cover a lot of ground, others focus on exploring a smaller region in depth. Many include activities like boat rides, horseback riding, ice cave explorations, and tours to see the Northern Lights. We’re confident that from our suggestions, you’re going to find a guided tour of Iceland that you love, whether you’re in Iceland for a 2 day stopover or a 2 week adventure! Which tour company to use in Iceland? What is Typically Included in a Guided Group Tour in Iceland? What is Typically Excluded in a Guided Bus Tour in Iceland? What about a Private Tour of Iceland? There are a lot of group tour options to choose from in Iceland, so we’ve decided to split these up based on duration. These range from 2 days to 12 days. The vast majority of escorted tours in Iceland start in Reykjavik (Iceland’s capital) although a few start in Akureyri (the main city in the north). Almost all international flights come into Keflavik International Airport near Reykjavik, which is the main airport in Iceland. From here you can either take a tour that starts in Reykjavik, or take a connecting flight to Akureyri in the north as a start point. For each guided tour, we’ve specified the months that the tour runs in, as the majority of these group tours do not operate year round. This is because there are different attractions available at different times of year, and accessibility to the different regions of Iceland varies hugely depending on the time of year. For instance, many attractions are closed or not accessible in the winter months. Don’t forget, if you are in Iceland for a longer period, you can also combine tours, or do part of your trip on a guided tour, and then plan your own itinerary for the rest of your time in Iceland. These Iceland tour packages are all for 3 full days or less. If you only have one day in Iceland, perhaps on a short stopover, we’d suggest taking a look at our guide to day tours from Reykjavik for ideas of what is possible. This two day tour covers many of the highlights of southern Iceland, starting with the spectacular waterfalls along the south coast, continuing to the famous black sand beach Reynisfjara and finishing at the incredible Jokulsarlon glacier lagoon. Here, you can watch icebergs floating around the lagoon before heading out to sea. It also covers some of the most popular winter activities in Iceland, namely, visiting an ice cave, and watching the northern lights. We think that for a short stop over, this is an excellent option for seeing a lot with minimal effort. Click here for more information. Another two day tour that focuses on the absolute highlights of the south coast, but without the ice-cave, and at a more affordable price point. This tour will have you leaving Reykjavik and exploring highlights like Reynisdrangar Cliffs, Dyrafjordur Fjord, the black sand beaches of Vík, the Jokulsarlon Glacial Lagoon and of course the famous waterfalls of the south coast including Seljalandsfoss and Skogafoss. Click here for more information. If you’d like to explore some of the west of Iceland rather than the south coast, then this is the tour for you. Covering two days of exploration, this tour will take you to the beautiful sideways waterfall Hraunfossar, one of Iceland’s longest lava tunnels, and even inside a glacier! This is a great way to experience some of Iceland’s western attractions, and as the tour runs through winter, you might even be lucky enough to see the northern lights! If you have a bit more time, then this tour is similar to the above, but with the addition of the Golden Circle. This is one of the most popular day excursions from Reykjavik, and includes the waterfall Gullfoss, the UNESCO listed Þingvellir National Park, and the Geysir Geothermal area, where you can see actual geysers going off. After the Golden Circle, the tour continues along the south coast, covering the glacier lagoon including a boat ride on the lagoon itself, black sand beaches and an glacier hike. A similar 3 day tour is also available in winter here. This doesn’t have the boat ride on the lagoon as these don’t operate in winter, however it does have ice caving and the Northern Lights! When: November – March, winter version here. The first tours cover the more popular (and therefore busier!) attractions in Iceland, but if you are interested in something a bit different, Iceland can definitely accommodate you. 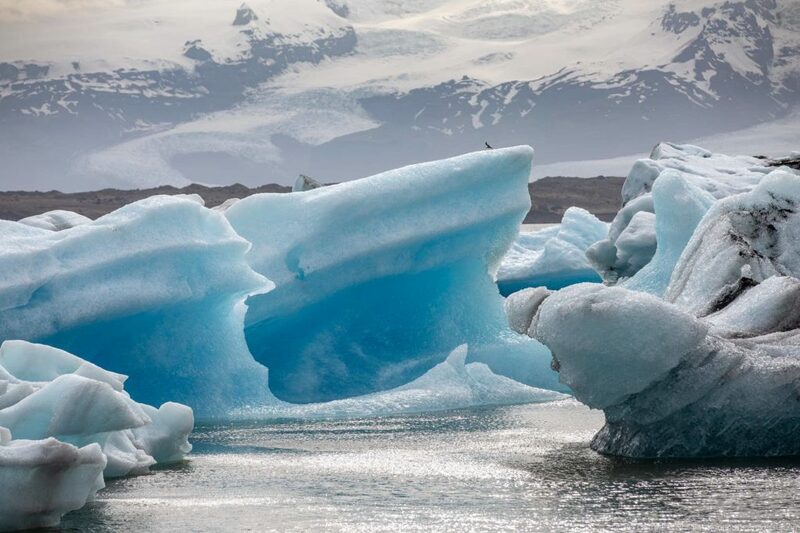 This 3 day tour takes you to some of Iceland’s most remote and beautiful wilderness areas in the far east of the country, where you spend three incredible days exploring the vast highland areas, and rafting along glacial rivers. It also includes time at a natural hot spring bath. Definitely one for the adventure enthusiasts amongst you. 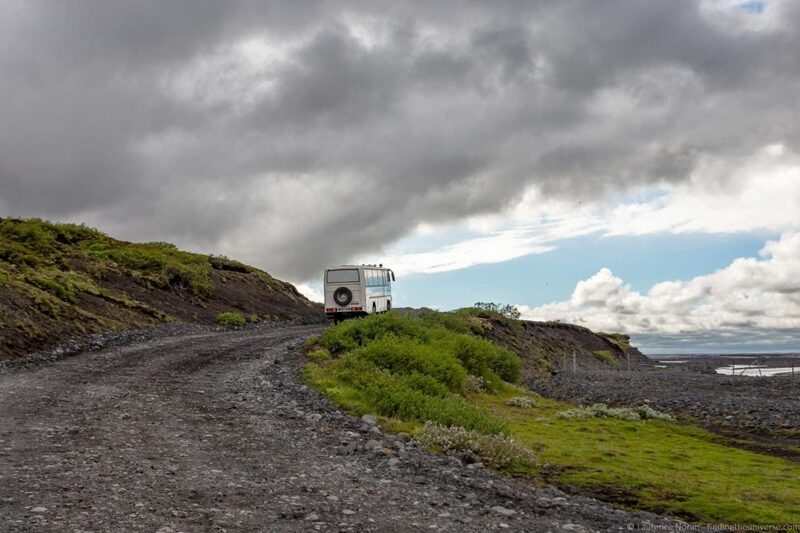 Taking a super jeep out to Landmannalaugar was one of my favourite day trips from Reykjavik, and this trip builds upon that adventure, extending the tour across three days and covering many more highlights. As well as the spectacular volcanic landscape of Landmannalaugar, it also includes the highlights of the Golden Circle, the opportunity to see the Northern Lights far away from any light pollution, views of the volcano Hekla and the spectacular Hjalparfoss waterfall. 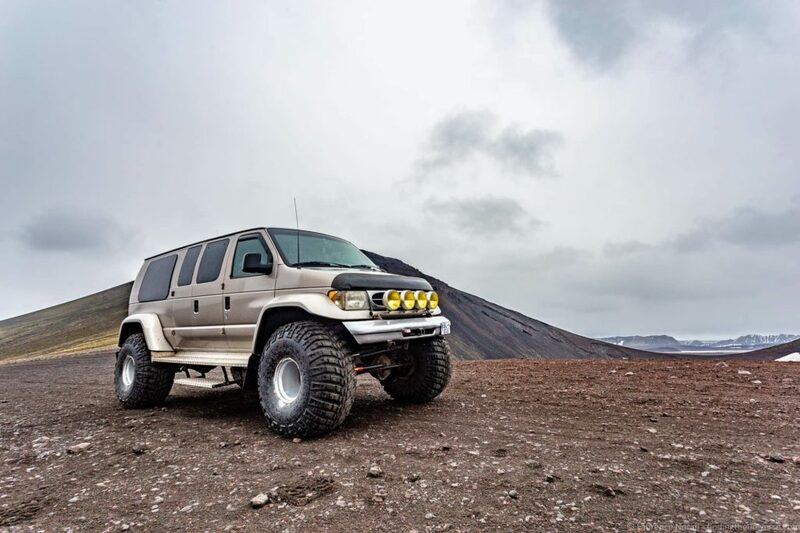 Travelling by super-jeep, crossing rivers, and getting deep into the volcanic Icelandic wilderness is the highlight of this small group tour, which you definitely won’t forget in a hurry! With 3 – 5 days to play with, you can get a bit further from the capital and pack more in to your adventure. You’re also a bit less rushed, and can look at longer adventures, including one of Iceland’s most famous and popular multi-day hikes. Here are some of our recommended 3-5 day tours in Iceland. This five day tour takes in the highlights of Reykjavik, the capital city of Iceland, which is home to numerous sights and attractions. It then heads up the west coast, through a number of pretty towns and villages, and out to the beautiful Snaefellsnes Peninsula. Here, you’ll take a boat ride, enjoy the views of incredible Kirkjufell Mountain, have the chance to spot whales, and try delicious local food dishes. As this is a winter tour, you’ll also have the opportunity to see the Northern Lights. The last section of the tour has you heading round the Golden Circle, taking in Thingvellir National Park, Gullfoss waterfall and the geysers at Geysir, before returning to Reykjavik. At the start or end of the trip, depending on your flight time, you might also want to add on a trip to the Blue Lagoon. If you want to get away from the crowds of the south coast of Iceland, then a good option is to head north. This tour does just that – after exploring the highlights of Reykjavik, you fly to the town of Akureyri on the north coast. From here you will explore some of the incredible highlights of the north of Iceland, including Godafoss waterfall, the Lake Myvatn region (home to some of our favourite nature baths! ), and the Trollaskagi Peninsula. This is definitely a less trodden, but still absolutely beautiful part of Iceland, and we know you’ll have an amazing time on this tour. This tour covers many of the popular highlights of Iceland, including the Blue Lagoon and the highlights of the Golden Circle, including Thingvellir National Park, Gullfoss waterfall, and the geysers at Geysir. It also spend two days along the south coast, taking you all the way out to the Jökulsárlón Glacier Lagoon and the Diamond beach, with accommodation in the Vatnajökull National Park. Definitely a good summer option for the classic highlights of southern Iceland. If you’re lucky enough to be visiting Iceland in December, then this four day Christmas themed tour is a great option. As well as Christmas meals and a Christmas themed walking & food tour, it also includes a Northern Lights tour, a tour of the golden circle, and time to visit the Blue Lagoon. This is definitely a unique tour to learn a bit about how Christmas is celebrated in Iceland and some of the traditions and customs that this season has, as well as to try some of the Christmas food that is popular in Iceland. If you want to really get under the skin of some of Iceland’s remote volcanic wilderness areas, then the best way to do that is with a multi-day hike. One of the most popular and beautiful hikes in Iceland is this one, the Laugavegur trail, which runs from Landmannalaugar to Thorsmork. 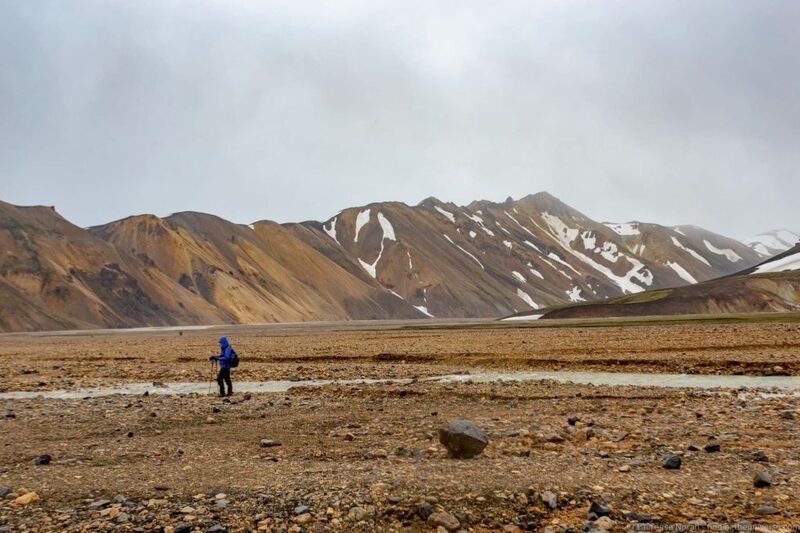 Aimed at intermediate to advanced hikers, the trek with a local guide starts in Landmannalaugar, home to gorgeous colourful mountains and a hotspot of geothermal activity. From here, you spend four days hiking across the stunning landscapes, camping each night in the wilderness huts along the route. In their rush to tick off all the highlights of the south coast, many visitors never make it out to the beautiful Westman Islands. These are a mere 40 minute ferry ride from the mainland, and are home to huge numbers of seabirds in the Spring and Summer, including puffins. This south iceland tour doesn’t make that mistake. It covers all the highlights you would expect on the south coast of Iceland, including the Golden Circle, the newly opened Lava Center, the black sand beach, Vatnajökull National Park, and Jokulsarlon Glacial Lagoon, but also includes a day and a night on the Westman islands, which in our opinion are very much worth a visit. If you’re a Game of Thrones fan in Iceland for five days, this is definitely the tour you want to take. As you are probably already aware, much of the HBO series was filmed in Iceland, particularly the scenes north of “the Wall”. This tour takes you up to the north of Iceland, where you’ll explore many of the filming locations around Lake Myvatn – as well some other awesome Iceland sights including waterfalls, volcanoes and hot springs. On your fourth day you’ll return to Reykjavik, where we’d suggest taking the optional add-on Golden Circle tour. This would take you to Thingvellir, another filming location. See our full guide to Game of Thrones filming locations in Iceland for more. Visiting Iceland in winter lets you experience some of nature’s most spectacular wonders, including the Northern Lights. It’s also the time of year in Iceland when it safest to actually go inside the ice caves. 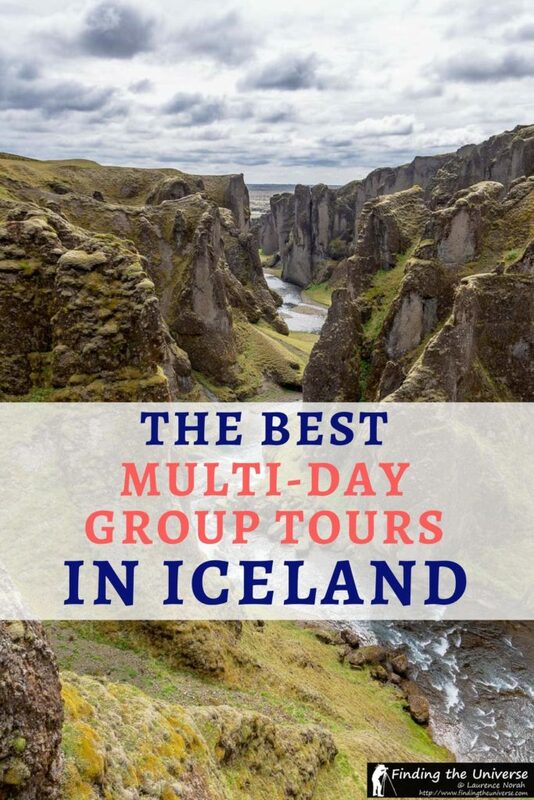 This tour offers both of these activities, as well as a visit to all three national parks in Iceland, Þingvellir National Park on the Golden Circle, Snæfellsjökull National Park in the west, and Vatnajökull National Park in South Iceland. You will also see the majority of the highlights of west and south Iceland. A good winter option for seeing the highlights of this region of Iceland. If you want to really get off the beaten track in Iceland in winter, the only way to that is in a Super Jeep. These specially modified vehicles have giant tyres and are raised far off the ground, letting them travel to places normal vehicles can’t go. This super jeep tour takes in some of Iceland’s most spectacular winter backcountry, including Thorsmork Nature Reserve. It also includes the highlights of south Iceland, including the waterfalls, Jokulsarlon Glacial Lagoon, a glacier hike, and the Golden Circle. A great smaller group option that gets a bit off the beaten track! Two of Iceland’s most famous treks are the Laugavegur trek and the Fimmvörðuháls trek, and this guided hiking tour has you doing both of them across seven incredible days. This is definitely the tour for those of you who love to hike, and is aimed at the intermediate to advanced trekker. You’ll be walking every day across stunning volcanic landscapes, and sleeping dormitory style in mountain huts. The tour also include your luggage transportation between huts and all your meals, meaning you can focus on just enjoying the hiking! Six days is definitely the minimum you’ll want to allocate to doing the full circle of Iceland, and even so, you’ll miss a few things. Still, if do want to cover the whole country, this is an excellent and well reviewed tour that covers all the highlights of Iceland’s ring road, including the Golden Circle, the south Coast, Akureyri and Lake Myvatn regions. If you are a bit short on time but keen to see as much as possible, this is a good option. With seven to ten days in Iceland, you have enough time to take a tour around the whole country, or spend some time really focusing on one or two areas. Here are what we think are some of the best options for tours of a week to ten days in Iceland. If you have around seven to ten days in Iceland and want to see a bit of everything, this is definitely the tour we recommend. It circumnavigates the whole country, and you’re going to get to see nearly all the highlights. This includes the Golden Circle, the south shore, the East Fjords, Dettifoss, the Lake Myvatn area, and Akureyri. You’ll see waterfalls, glacial lagoons, volcanic landscape, interesting museums, Icelandic horses, hot springs, and much, much more. Definitely one to add to your short list for 9 days in Iceland. The tour is also available in an awesome winter version here. A similar tour is also available in an 8 day version here and here. With eight days in Iceland, we think a rush around the whole country might be too much. Instead, this tour covers around half of the country, starting in Reykjavík (a visit to the Blue Lagoon is included) and then taking in the Golden Circle and highlights of the south coast. It also covers much of the east and north of the country, including the Eastfjords and the Lake Myvatn area, with the opportunity along the way for glacier hiking, Northern Lights watching and ice caving, as well as some more gorgeous thermal baths. The tour finishes with you flying from Akureyri back to Reykjavík, and the flight ticket is included in the price. If you want to experience Iceland on foot, but don’t want to tackle long multi-day hikes, this 10 day “soft-hiking” tour is one to check out. This tour combines a number of relatively short guided hikes with guided sight-seeing opportunities, and covers many highlights of western and northern Iceland, including some time in the Highlands. All the hikes are rated so you have an idea of what to expect, and the walks are accompanied by guides who will share Icelandic folklore and tales with you. Takes in both popular highlights as well as many lesser known areas. This one starts and finishes in Reykjavik, and there are two nights in the capital city, from where you can visit the Blue Lagoon or take in some of the many attractions on offer. If you are looking for an active winter trip in Iceland and have a larger budget, this National Geographic tour may be for you. Led by a National Geographic guide, this active tour has you taking in a great many of Iceland’s attractions, many by snowshoeing or hiking. It starts with you exploring Reykjavik, before heading up to northern Iceland and exploring the Mývatn area, including time snowshoeing to a volcano crater and a soak in the gorgeous Mývatn nature baths – from where you might be lucky enough to see the Northern Lights. It then heads down the west coast of Iceland, out onto the Snæfellsnes Peninsula, where you spend a couple of days exploring, and amongst other activities, take another snowshoeing tour. 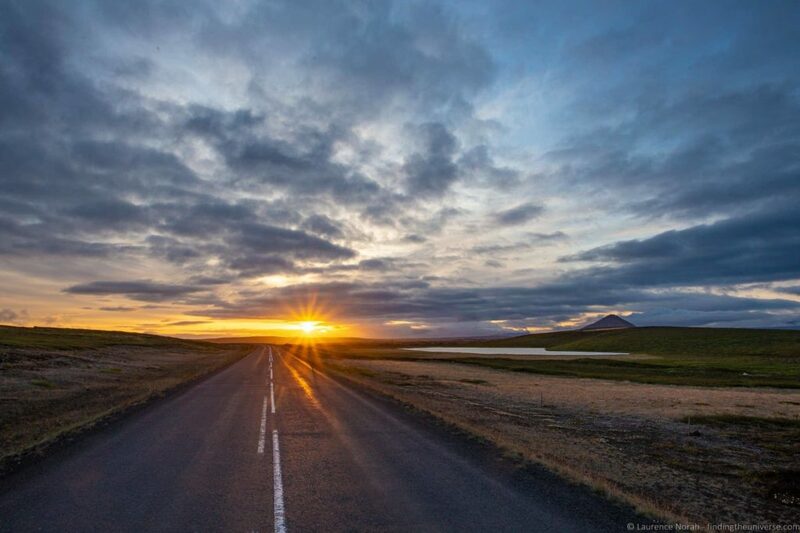 Finally, the trip has you touring the Golden Circle and hiking up Miðfell, before finishing in Reykjavík, where you’ll also visit the Blue Lagoon. This 10 day winter tour has you exploring many of the highlights of Iceland, including a 3 day super jeep tour to see the incredible winter landscapes of Landmannalaugar national park and 2 days on the Snaefellsnes Peninsula. You’ll also explore the south coast of Iceland for two days, visit the Blue Lagoon, have a chance to see the Northern Lights and go ice caving. It’s an itinerary that really takes advantage of the myriad winter adventures available in Iceland, and focuses on thoroughly exploring what’s available at this time of year. If you want to experience some of Iceland’s most spectacular off-the-beaten path wilderness, and have the time to do so, this 9 day tour of the Icelandic interior is definitely one to check out. Using a 4×4 coach, this trip has you journeying deep into Iceland’s remote highland interior. You’ll be crossing rivers, seeing the incredible colourful landscapes of Landmannalaugar, and visiting the heart of Iceland – Sprengisandur, where few people come. The tour also includes the highlights of Iceland that you’ve always wanted to see, including Lake Myvatn, Dettifoss, Godafoss, the Golden Circle, and the highlights of the south coast including Jokulsarlon Glacial Lagoon – with the option to take a boat tour on the lagoon itself. This is definitely the tour that has almost everything you could want to experience in Iceland in summer on a guided tour and takes you to some areas far away from the crowds! If you’re lucky enough to be visiting Iceland for more than ten days, you’re going to be able to see a great deal of this incredible country. There aren’t many 10 day+ group tours in Iceland, but the ones that we’ve chosen are going to showcase the best of the country, whatever time of year you visit. If you’re looking for a slightly longer winter tour that covers all of Iceland, this might be a good option. This tour includes a complete circle of Iceland, so you’ll see all the highlights including the Golden Circle, the south coast and it’s black sand beaches and magnificent waterfalls and the Fjords of the East. It also includes the magical Lake Myvatn area, where much of Game of Thrones was filmed, and which is also home to the beautiful Lake Myvatn baths. Finally the tour heads back down the west coast, and visits the Snæfellsnes Peninsula. As you journey, you’ll have the opportunity to hike on glaciers, go inside ice caves, and to see the northern lights. This fantastic summer only tour of Iceland covers the highlights of the north, east and south coasts of Iceland, including many lesser visited spots, and some our favourite regions of the country. The tour is great value too, including many of your meals and entrance fees, and includes time at Lake Myvatn, the Landmannalaugar area, a boat tour on the glacier lagoon, and some hot springs! Iceland is world renowned as a spectacular photography location, so why not take advantage of that and join a photography tour of Iceland? This will guarantee you get to the most photogenic spots in the country, plus you’ll be accompanied by a professional photographer guide who will help you get the most out of the trip. The tour includes stunning locations like the Snæfellsnes Peninsula, Hvitserkur & North Iceland, Lake Myvatn, the highlights of east Iceland, Vatnajokull National Park, the stunning Vestrahorn mountain range and finishes along the south coast. You’ll see all the best bits of Iceland, and be guaranteed to leave with incredible photos! 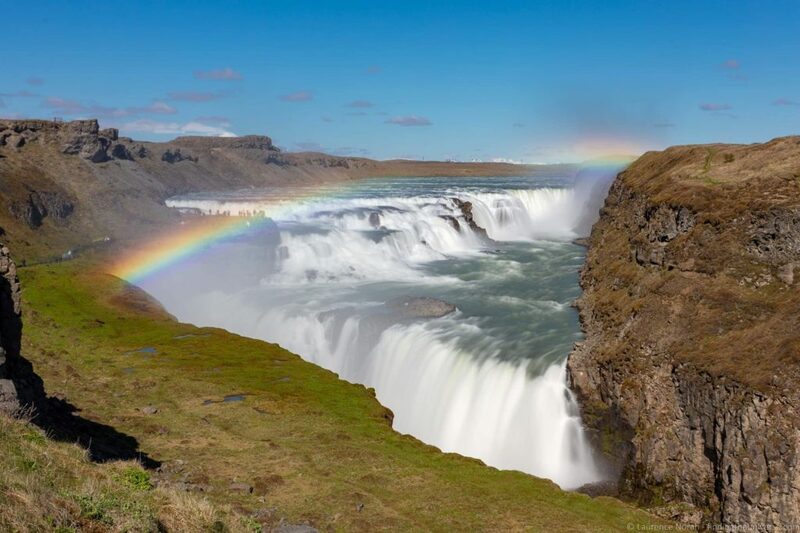 This small group tour will take you on a complete circuit of Iceland, including less visited areas such as the West Fjords, which includes the magnificent Dynjandi waterfall. 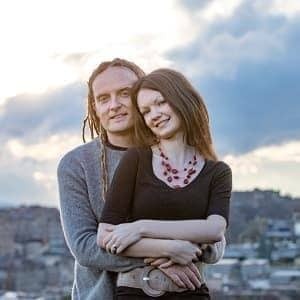 If you have the time and budget, this is definitely going to be a tour that gets you to as much of Iceland as possible. It includes the majority of your breakfasts and evening meals, a number of attraction entry fees (including Lake Myvatn Baths, one of our favourites geothermal pools in Iceland), and much more. There are multiple tour operators in Iceland, so picking the right one for your trip is definitely important. On our trips to Iceland we’ve primarily used Iceland Travel. They’re a major tour operator in the country who have been operating tours of Iceland for decades (since 1937!) – meaning they really know what they are doing. We’re always happy to recommend them. If you can’t find what you are looking for at Iceland Travel, another option is the Guide to Iceland portal. These guys don’t actually run their own tours, instead, they are a portal for other companies to list their tours. When people book and take a tour they can leave a review, and it’s always worth checking tour reviews before booking as obviously these can vary depending on the operator. We’ve primarily used Iceland Travel on our trips in Iceland, for both short tours and multi-day trips, and they remain our favourite tour company in Iceland. We have used Guide to Iceland once, on a day trip from Reykjavik, primarily because Iceland Travel didn’t have the tour date we needed. Our experiences have been positive with both companies, so we suggest you find the tour that works for you from one of those two options. We also list a few tours from other companies above as well, including National Geographic, but the majority are from these two. Most guided tours in Iceland include the following, although do always read the tour description for full details of what is included. If it’s not clear if an activity or feature is included, it will normally not be included, but do always check with the tour operator before booking so as to avoid any costly surprises. Whilst they include a lot, not everything will be included in your tour. Typical exclusions include the following. It’s important when comparing tours to compare what is included and excluded. A tour that includes all your meals for example can result in being good value for money as meals can be expensive in Iceland, and this is a similar story for attraction entry. Remember – don’t just check the headline prices when comparing tours, always carefully check what is included and excluded. As an example, this 9 day tour includes breakfast and a number of evening meals, as well as a lot of entrance fees to attractions including the Blue Lagoon. It also includes airport transfers and internal flights from Reykjavik to Akureyri. It’s very clear from the tour listing what is and what isn’t included. As you’ll have noticed throughout the post, few guided tours in Iceland run year round. This is because Iceland is a country that varies dramatically between the seasons. In the winter months, generally from around December through to April, there is far less daylight available. Weather conditions and snow also mean roads can be closed, and the highland roads in particular are shut completely. The benefits at this time of year though are that you have the chance to see the Northern Lights, and there are fewer visitors. If you are visiting Iceland in winter, check out our guide to what to pack for Iceland in winter to get prepared. We also suggest reading our guide to how to photograph the northern lights to be sure you get great photos! In the summer months, generally May – September, the days are much longer, and you have the chance to experience the midnight sun. This means you can fit a lot more into each day, and tour itineraries tend to be a bit fuller at this time of year. It’s also likely to be a bit warmer and sunnier, although our experience has taught us that Iceland is by no means a warm destination at any time of year. We’ve visited Iceland in both summer and winter, and enjoyed our visits at both times of year. It’s just a question of being prepared and knowing what to expect. All the tours that we’ve listed are group tours. Whilst these vary in size, they aren’t private tours, and so you will be sharing the experience with other people, with group sizes varying depending on the tour you choose. Of course, it is entirely possible to also do a private tour of Iceland. These carries the advantage that it will just be you and your group, rather than anyone else. It also means you will likely be able to customise the itinerary, and ensure you see everything you want to see. The downside to a private group tour is that it is likely going to be the most expensive option for travelling in Iceland. However, it will certainly be a unique and memorable experience! Check out NineWorlds (Iceland travel’s bespoke luxury tour company) as a starting point. Other tours are also available, such as this three day private tour that includes the golden circle, south coast and glacial lagoon. Hopefully this post has helped you navigate through the plethora of group tour options available in Iceland! We’ve visited Iceland a number of times and loved our time in this incredible country. We’ve also put together a number of other posts to help you plan your visit, be that on a guided tour, a self-drive adventure, or another option. Here are some of our favourite guides. We’ve created a list of some of our favourite photography locations in Iceland from our travels there to give you some ideas of where to aim to get the best photos. We also have a specific guide to finding the Iceland plane crash. We have itineraries for self-drive trips in Iceland, including a seven day Iceland itinerary, a guide to spending 5 days in Iceland, and an Iceland ring road itinerary. 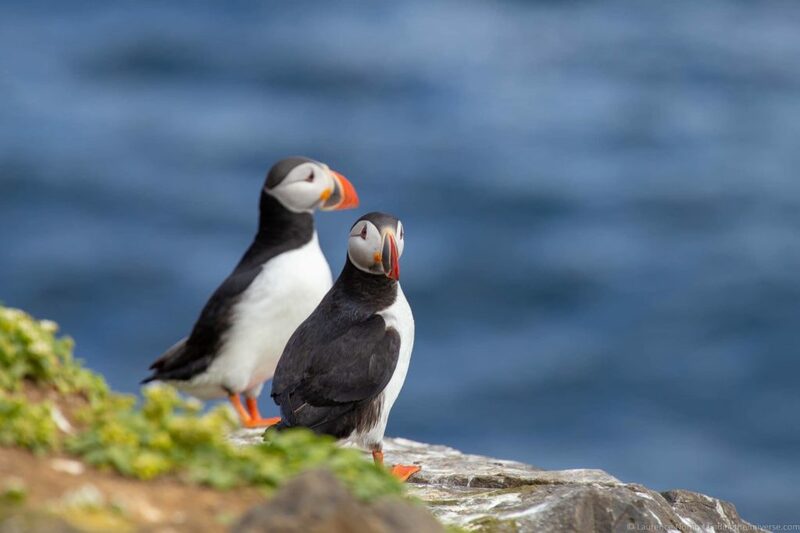 If you are interested in seeing Puffins in Iceland, check out our detailed guide to Puffins in Iceland, which has everything you need to know! And that sums up our guide to the best group tours in Iceland! Have you been to Iceland, or are you considering it? Will you be taking a group tour? Do you have any questions or feedback about any of the above? As always, we’re happy to hear your feedback and answer your questions – just let us know in the comments below! We’re keen to come to Iceland mid December. There are 8 of us and would like a private tour. Is this possible? Love your photos! Iceland is on my short list of places I want to visit next. I’m enjoying reading your tips and ideas. I’m glad I found your site.